So a couple of weeks ago I posted about my on-going battle with depression. Over the years I’ve tried a variety of methods for treating this shadowy illness. I’ve tried a variety of prescription anti-depressants. I’ve tried light therapy (in the form of tanning beds). 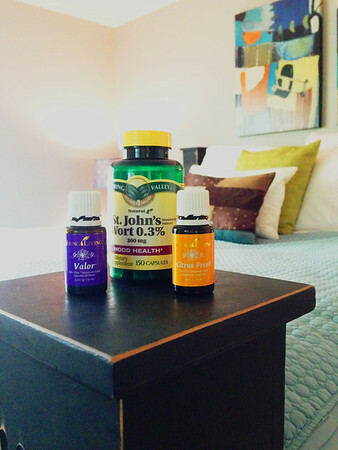 I’ve used St. John’s Wort as recommended by my physician. And I’ve tried just waiting for winter to pass (as that is when I struggle most). All of these methods have been successful to varying degrees and with varying long-term effects. Prescription meds work, I won’t argue with that. But they come with a multitude of side effects and a variety of long-term consequences that are just beginning to be understood. I am thankful for modern medicine and pharmaceuticals and believe God has given us this knowledge to be used for our benefit and His glory. I have no issues with someone who uses prescription anti-depressants or with using them myself if necessary. However, I believe God has given us in the created world what we need to treat and care for our bodies in times of sickness or health and we all know we are beginning to see how the overuse of man-created compounds and chemicals is causing a plethora of unintended consequences (cancers, antibiotic resistant bacteria, etc). Therefore, as much as possible, I would prefer to find more natural ways to treat myself and my family. Enter my current treatment plan, and a little backstory….. In July, as I think I mentioned, I was desperate, drowning, and hanging on by merely a thread of hope. I cried out to the Lord for some kind of relief because I knew I couldn’t go into the new school year, much less the winter, already so far behind emotionally. And through completely “random” circumstances (a phone call from my husband to a friend about something completely unrelated), I was told about essential oils. I’ll be honest, on a normal day I would have politely written the idea off as “not for me”. 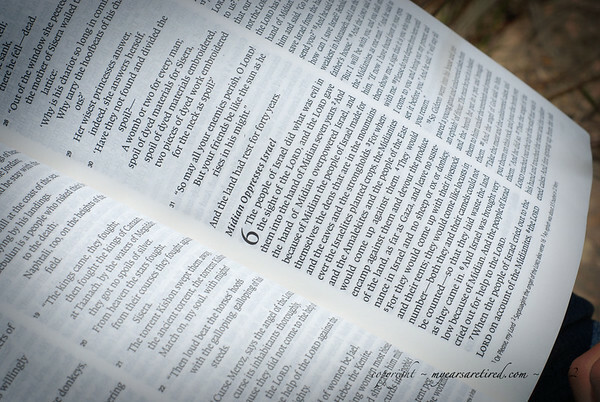 But this came at the end of a day of dedicated prayer for help, so I listened and started reading and asking questions. I ordered two oils and expected absolutely nothing. I kept praying and hoping and committed to trying the oils (and St. John’s Wort – more on that momentarily) for the month of August. It was decided that if I was not feeling noticeably better by the end of the month, I would go back on prescription meds for the first time in 13 years. And so I faithfully used my oils and my SJW for a couple of weeks and really didn’t think much of it. We had a birthday in the family and there was no mama-meltdown (a miracle in itself). Then we had a birthday party complete with sleepover friends and I actually had fun. We started school and I felt peaceful instead of overwhelmed. Our schedule picked up pace and I did not panic. And that’s when I realized it, I felt better. I felt more free, whole, and human than I had felt in months, maybe longer. It took about two weeks, but the change was amazing. I don’t know if it was “just” the oils or “just” the SJW or the combination of the two , but I’m not eliminating one right now to find out. I have found something that is working incredibly well, and I’m sticking with it. I may try to taper off of the SJW in the spring, but for the next several months, I am staying the course, Lord willing. Lots and lots of this….. Combined with daily doses of these….. I take the SJW according to the directions on the bottle (in this case, 1 capsule, 3 times daily). I put a drop or two of the citrus oil in every glass of water I drink. And I put a few drops of Valor in the palm of my hands, rub together, and inhale deeply three or four times a day (more if needed). I was impressed enough with the oils that I signed up with Young Living to be a “distributor”. Now let me say this – I am not a fan of MLM. I don’t like home parties and tend to find MLM products over-priced and not significantly better than their locally found competitors. That said, there is a wide variance in qualities of essential oils, these are shown to be good, quality oils, and, as I said earlier, I have something that is working. I’m not interested in rocking the boat. If I can sign up and get it at a discount – woot! If God chooses to do something else with this and grow something out of it, then that is His prerogative. Since signing up and ordering my oils, I have been trying all the ones that came in my kit and have had great success with many of them. One daughter has used Purification for blemishes. I diffuse Peace and Calming at breakfast, lunch, and dinner to help keep our gaggle of girls under control as we transition to different parts of the day. We have used Lavender for a multitude of things – rubbing on feet and pillows at night, soothing burns or scrapes on skin, helping our very distractible child to focus during school (night and day difference when we use it and when we don’t), and even alleviating one of the most severe allergy episodes I’ve had in years. So, to say I’m a fan is probably an understatement. I’m still very overwhelmed by the abundance of information and possibilities with these oils, as well as the sheer number of them, but I am learning as I go and am excited to learn more. ****If you are interested in placing an order with Young Living (www.youngliving.com), my distributor number is: 1484727. As I said in my post, I am not actively trying to grow any sort of a business; I’m just completely amazed at how beneficial these oils are and I love that the only “side effects” are good ones, so I am happy to share that with anyone who wants to know more. It’s always all for God’s glory. I have tears welling up in my eyes. SO grateful to hear you’re feeling more hopeful, Sara. I’m very blessed by your ongoing openness here on your blog, and on Facebook, and I just have to thank you for sharing your struggles too. I’ve can so relate. People can relate to the pain of depression — more than any of us will ever know. Oh, and you’re funny too. 🙂 Thank God for nature’s wonders!! Sara, I grew up with these oils and really love them. I am so glad you are enjoying them and they are a help to you. thanks for sharing on depression. My friend just shared this link with me. I only was able to read the most recent post on depression but hope to catch some time this weekend to read the back posts. I’m so glad you stopped by! I hope you’re able to find encouragement and hope and you look at other posts as you have time.